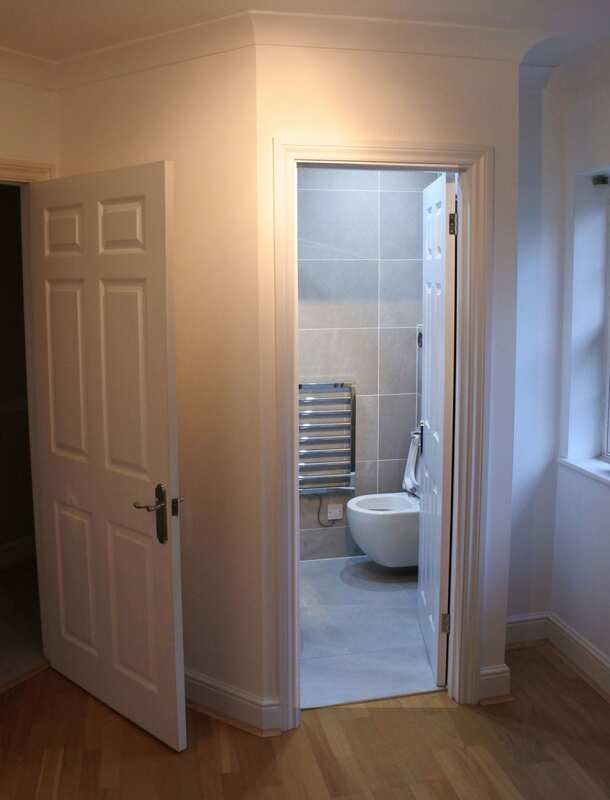 This project was designed to give a Master Bedroom a much deserved en-suite. 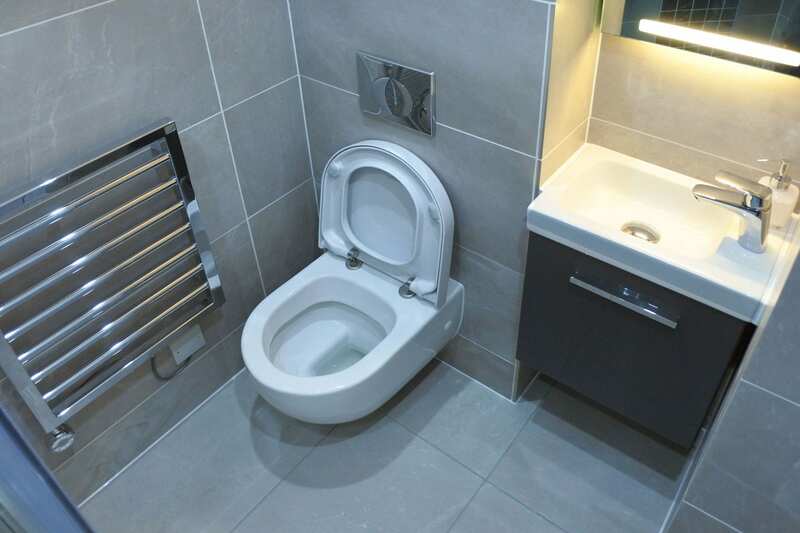 With the addition of two stud walls Bathroom Studio Design created a fully functioning and attractive master en-suite within a space that was considerably compact. 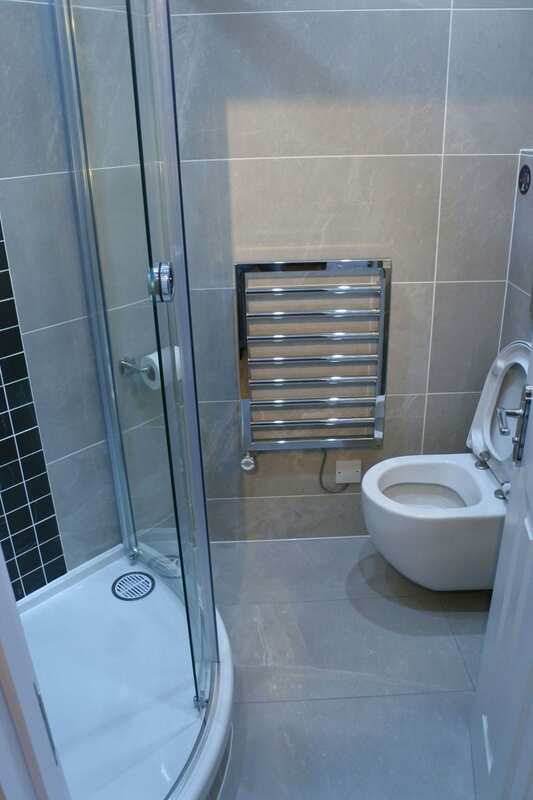 The large tiles and wall hung WC and furniture gives the illusion of more space, whilst the sliding shower door design has space-saving qualities making it ideal for this small en-suite. The LED illuminated mirror helps brighten the interior along with cool LED down lights in the ceiling area, creating a fresh and light feel.